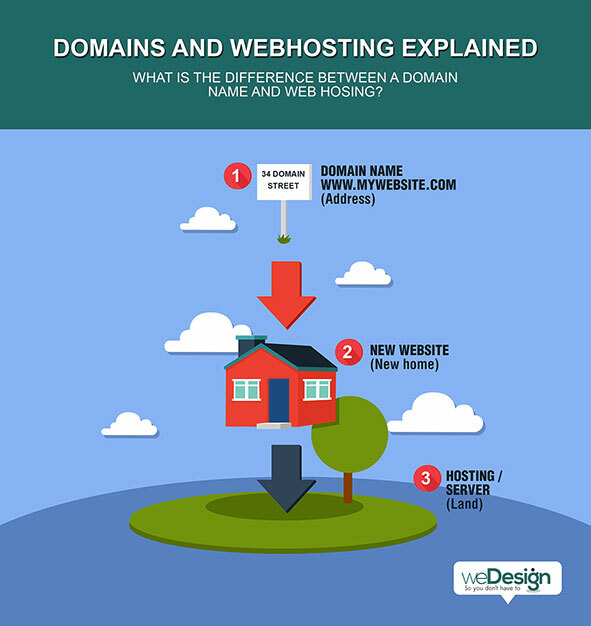 Setting up your hosting, a website and a domain name is like getting land putting a house on it and having an address so people can find your new home. I’ll break down each one so you can get a better understanding. Hosting is like the space or land you rent to put your home on. This is basically the place where your new website will live. I say rent as your hosting can be purchased monthly or renewed every year from a hosting company. Another name for the place your new website will live is called a server. Depending on the package you purchase will depend on how much memory or space available and other function available to your website. Many good standard packages will come with email address, website builders and much more. Just like renting a property if anything goes wrong you should be able to contact someone in the support team and they will quickly assist you and sort out any server or hosting issues. Now you have the land (host) you can now start building your beautiful new home (your website). A good hosting package will come with everything your website designer will need to build your new site. Ok, so you now have a lovely peace of land a beautiful new home and now you need an address so people can find and come visit you. Once you decide on a name or address for your website you can check if the name is available and just like the hosting you can rent that name for a year , two years or renew every year. This will give you sole ownership of the name for your website (CLICK HERE to find out if your name is available). More than one domain name can be attached to your website so if people search for all the domain names you have acquired they can all be made to point to the same website. An example domain would be https://www.yourwebsitedomain.com. And thats pretty much domains, hosting and your website in a nutshell! So hopefully that explains that domains and hosting are both different things that all work together to get you up on the web. Note that you would generally find and purchase your domain and hosting then build your website. Both domain and hosting can be purchased from one company or from separate domain and hosting companies. We could definitely go much deeper in to each subject but this should give you a general idea of what they are and how they work.